Fall has officially arrived, and with it comes a slew of fantastic outdoor activities. Harvest festivals, street fairs, apple picking, and tailgates all seem to happen right around this beautiful time of year. So while the days shorten and the temperature drops, make sure you enjoy every single outdoor activity before everything freezes and you are bound to stay inside until the spring arrives at last! Sometimes all you need to do to get into an autumn state of mind is enjoy one of this season’s signature warm beverages! Just pick your poison: a pumpkin spice latte, hot cider, hot chocolate, mulled wine, or even just regular old hot tea and coffee can make you feel like the leaves are turning just for you. This vacuum insulated Thermos brand bottle is sure to keep your drink of choice piping hot and ready to warm your bones with just one sip. It even has a built-in stainless steel cup which allows you to enjoy your beverage from anywhere. 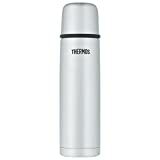 There is something about a Thermos that just evokes back-to-school and chilly weather of years gone by. Just by packing one of these in your purse or backpack, you are already embracing the spirit of fall. Make sure your bottle is full of something delicious before heading to the pumpkin patch or into a corn maze. Picnics don’t need to end after the fall equinox. But once the weather starts to cool, pack up the lightweight cotton throw and instead opt for a heavier, wool planet. 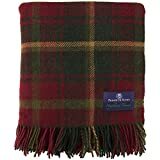 This beautiful Tartan Tweed throw will provide a much-needed barrier between yourself and the cold fall ground. The classic plaid pattern will mysteriously enhance the flavor of the pumpkin pie and apple cider you find in the bottom of your picnic basket. As the foundation of any good picnic, this blanket will make the entire experience feel completely cozy. And really, isn’t that what fall activities are all about? During the fall, you will notice that the sun begins to set earlier and earlier, sometimes casting you into darkness before you are ready to go inside. 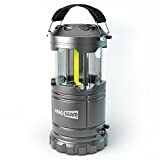 With this lantern/flashlight hybrid, you can extend your outdoor time a bit longer. It is super bright, emitting twice the brightness of older LED lanterns, and elegantly transitions from a lantern for ambient lighting to a serious flashlight for directional beams. It is small and compact, measuring just 5.5” x 3.5”, and operates off of standard AA batteries. This is an essential fall tool to have with you if you plan on extending your tailgate hours, or happen to get lost in a maze or pumpkin patch. Don’t get stuck in the dark. Take care to bring along this handy dandy little lantern. A down vest is a fantastic choice in outerwear for fall, when temperatures are nippy, but not quite cold yet. Down vests will keep your torso warm, without the sleeves that can make you over-heat. Opting for a collapsible vest that packs into a small pocket or carrying case is a great accessory to throw into a purse or tote bag. That way it is always there when you need it without forcing you to carry it everywhere you by hand. The down material is also a fantastic choice since it is incredibly lightweight and incredibly warm. It can be worn layered with other coats or jackets, or just on its own as a lightweight warming layer. While hiking is another fantastic fall activity, you don’t need to be hitting the trails to enjoy the benefits of good hiking boots. Hiking boots are generally rugged and water resistant, which means you won’t be slipping all over fallen leaves. In the event of a chilly fall shower, your shoes and feet won’t be wet and cold. Plus, they lace tightly over your foot and ankle which will help to keep you warm and cozy without exposing that small bit of ankle that tends to peak out over normal shoes. Whether you are enjoying a hiking trail once the weather has cooled down enough, or are just running errands on a wet, slippery day, hiking boots are a fantastic fall footwear choice. Another great way to keep out the chill during outdoor fall activities is to add a super cozy infinity scarf. This is both a fashionable and functional accessory. It will instantly autumn-up any outfit you layer it over, all while providing valuable warmth for your shoulders and neck. Fall is a great time to show off your sense of style before you have got to cover everything up with a large overcoat. 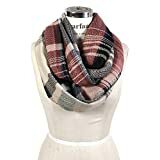 This plaid infinity scarf is a classic addition to any fall outfit. 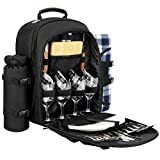 If you are serious about your fall picnicking, invest in this backpack picnic set! It contains four full table wear sets consisting of napkins, plates, plastic wine glasses, and a cutting board. It even has a detachable waterproof pouch with can hold ice and chilled food. The side compartments feature a wine bottle holder on one side, and a plaid blanket on the other. The only thing you need to add to this picnic set to make it complete is the food and drink! Which Travel Toothbrush Will You Bring With You? What Should I Pack for a Winter in Europe Vacation? You can make an informed purchase decision in as little as 60 seconds or as long as 60 minutes. How deep do you want to go? Hi, and glad you found us!